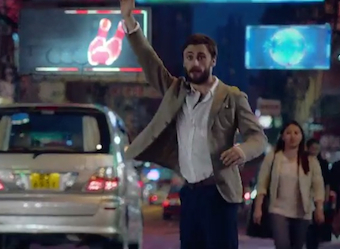 Heineken has announced a partnership with taxi rival service Uber as part of its multi-million dollar ‘Open Your City’ integrated marketing campaign. Willing participants will be treated to a free Heineken Chauffeur service in an Uber black car taking them to surprise locations. More than 45,000 people can take part in the chauffeur service in Sydney, Melbourne, Perth, Brisbane and Adelaide between 25 September and 30 November. Between 6pm and 9pm on Thursday, Friday and Saturday nights in each city during the campaign, people can request a Heineken Chauffeur car through the Uber app using the promo code ‘OPENYOURCITY’. a 24-hour adventure in another city including flights and accommodation for up to four people. Tourism publication Time Out, fashion brand G-Star, Rolling Stone and various venues are partnering with Heineken to provide these experiences. The ‘Open Your City’ campaign website also hosts content by Time Out naming the ‘top five’ events and destinations in each city, updated Thursdays and Sundays, as well as a heat map showing trending venues, linked to Instagram, Twitter and Foursquare. The campaign includes TV, cinema, outdoor and digital advertising. On a global level, Heineken is releasing a series of special edition ‘Cities of the World’ bottles featuring New York, Shanghai, Berlin, Amsterdam, London and Rio de Janeiro.